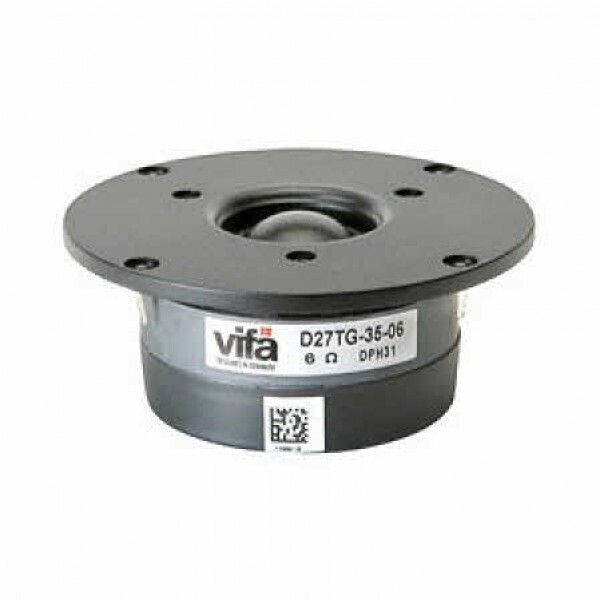 Vifa D27TG-35-06 Tweeter is a 25mm voice coil 6 ohm tweeter featuring a ring radiator with a central waveguide. High Sensitivity. Recessed mounting holes. Ferrofluid. 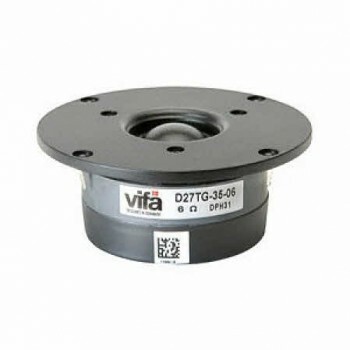 Vifa D27TG-35-06 Tweeter.. 25mm voice coil 6 ohm tweeter featuring a treated silk dome.104mm faceplate. High quality, used by ATC and PMC. Large rear chamber for extended low frequency response. High Sensitivity. Recessed mounting holes. Ferrofluid. These tweeters are also available as the Danish made Scanspeak D2606/922000.